You will be charged the per person pricing located next to each individual entree. Each guest has their choice of one of the six entrees above. 18 percent gratuity and 9 percent tax will be added on to the final bill. Special banquet menu above applicable for groups of 20 or more. Gurnee’s best offering of fine dining. Welcome to the Backyard Steak Pit in Gurnee Illinois. When you first walk in the door and smell the open grill, you soon understand that this is no ordinary restaurant. 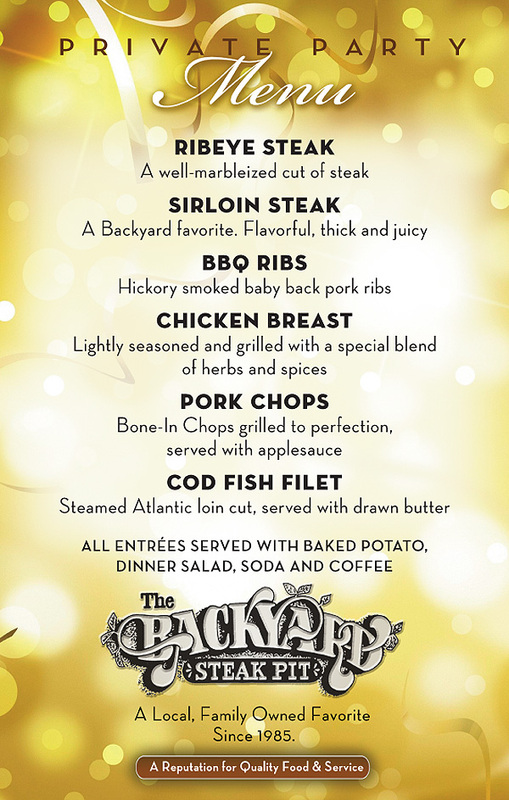 Since 1985 the Backyard Steak Pit, a family owned restaurant, has been committed to serving unsurpassed cuisine. 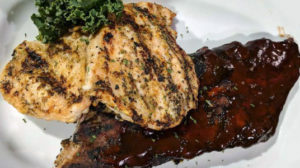 For over 25 years we have become a favorite steakhouse among locals; a place to unwind and have a good dinner surrounded by a friendly, welcoming atmosphere.